One decision + two different paths = how many happy endings? Have you ever wondered 'What if…?' What if you'd taken that other job, gone on a date with that sweet guy, moved to a different city? Would an alternative life path have led to a happier ending? When Bea Bishop slips while walking down the aisle on her wedding day, she is momentarily knocked unconscious. And in a flash, her world splits and two separate parallel lives take her on two very different journeys. In one, Bea flees back down the aisle and out of the church. In the other, she glides blissfully towards Adam, her intended. Each path will take her on a very different journey. And each will see her life change for better and for worse. But which story will lead to her happy-ever-after? Moments ago, I was crying... full girly tears of sheer joy and happiness as I witnessed a truly remarkable ending to a book with a hefty 450 pages in. 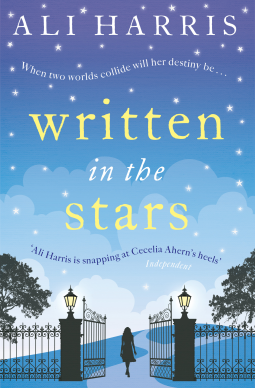 Written in the Stars, is by largely one of the best ever books I've ever read... in my LIFE! For a book to bring tears to my eyes and a sense of happiness for the characters... well it is a masterpiece! Written in the Stars is very unique in the way it is written. I for one have never read a book that is put together by the author right down to the most intricate detail in the way that Ali Harris has. The style of telling two different stories that could have been Bea Bishop's life path at the same time is one that separates Ali's book from so many of the others out there. It really is a book for every woman who has ever wondered..."what if?...". I for one know that I have wondered 'What if?' on more than one occasion, and through this book, as a reader you can't help but ponder on your very own 'what if?' moments. Throughout the book, Bea is guided by her diary gifted to her by her Father on her 7th birthday - the day before he left, and just like the seasonal year, we see through Bea's eyes that life really is cyclical and turns with the seasons. We begin the book with scenes of the past that shows what has led up to one of the key moments in her life...her wedding day. Walking down the aisle, Bea slips after seeing someone in the congregation that she wasn't expecting to see, and suddenly floods of memories past hit her like a stormy sea of waves that knock her unconscious. When she comes around the reader is shown two very different ways in which her life could play out. To get married to Adam or to not get married to Adam? That really was the question that began Bea's dramatic and heart-warming journey to finding the person that she has always longed for... even if it's not who she quite expected it to be in the start. Love, guilt, career choices and dreams of gardening from the past come flooding back - in both of her lives - and it is how she deals with them that sees the reader go on a trip of a lifetime with Bea where she finally discovers what the key to her life is ... to do what makes her happy. I particularly love the ending as we see her two worlds collide and we find Bea right where she needs to be. Ali, has most definitely done book bloggers, faithful readers, fellow facebookers & Tweeters, not to mention the book world an immense service in the writing of this book. She should be immensely proud! Having started the book way back in April and only recently picking it back up to continue reading (due to personal circumstances), I am only sorry that I didn't finish it sooner! However if I have learnt anything from Bea Bishop (lead character), it is that I would always have ended up here... wiping tears from my eyes, and being fully in love with the entire story. Each path we choose, every decision we make may one day take us back to the very same one we turned away from. It's a tender yet strong message for everyone I feel, not just Bea, and one that we can all try to live up to. As someone who can relate to Bea's character in that she made a decision once upon a time to live a different life to what she had always wanted, I can attest to the fact that just like Bea, 7 years later, you may ... like me, find yourself coming full circle where you are almost being given a second chance of the life you not only always wanted because it is what makes you happy, but that sometimes, it just so happens to be 'Written in the Stars'. 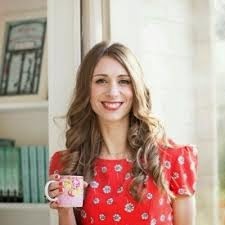 Ali Harris is a magazine journalist and has written for publications such as Red, ELLE, Stylist, Cosmopolitan and Company and was deputy features editor at No.1 women's magazine Glamour before leaving to write books and have babies. She lives in Cambridge with her husband and their two children.